The Law Office of Michael B. Cohen focuses on helping people in Altoona, Pennsylvania, with matters involving employee disability insurance law, employment law and the Employee Retirement Income Security Act. Our legal team understands the complications that are often involved in situations dealing with disabilities and discrimination. With an extensive knowledge of state and federal laws and regulations, we know how to handle cases through negotiations, mediation or aggressive litigation. Our law office is dedicated to building long-term relationships with clients throughout Johnstown and Blair, Bedford, Huntingdon and Centre counties. Once clients come to our office for an initial consultation, our attorney listens closely to the details surrounding the issue and then partners with each client to formulate a solid plan of action. We work hard to simplify the legal process and procedure. In addition, the Law Office of Michael B. Cohen accepts credit cards, as well as other forms of payment for our services. Founding attorney Michael B. Cohen graduated from Duquesne University School of Law in 2009. Since then, he has established a reputable client-centered law office built on strong communication. 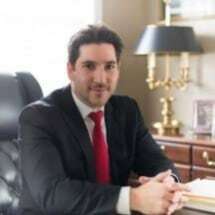 As a member of the American Bar Association, Blair County Chamber of Commerce, Blair County Bar Association, Pennsylvania Bar Association and the Hollidaysburg YMCA Board of Directors, Mr. Cohen is a strong citizen of the community and the field of law. He is admitted to practice before the U.S. Court of Appeals for the 3rd Circuit, the U.S. Court of Federal Claims, the U.S. District Court for the Western District of Pennsylvania and the Supreme Court of Pennsylvania.